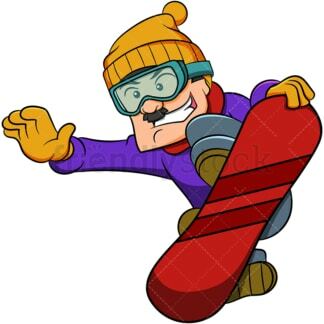 Royalty-free stock illustration of a caucasian man enjoying snowboarding while wearing a beanie and a scarf to protect himself from the cold. Royalty-free stock illustration of black man on trail having a good time snowboarding while wearing protective goggles and doing the peace sign with his hand. 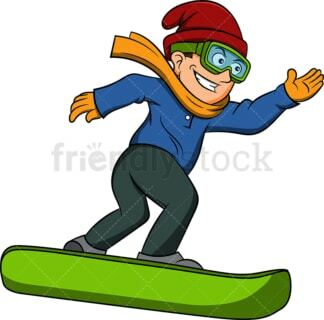 Royalty-free stock illustration of caucasian man running down the slope with a snowboard while wearing goggles and gloves, looking happy and like having a good time. 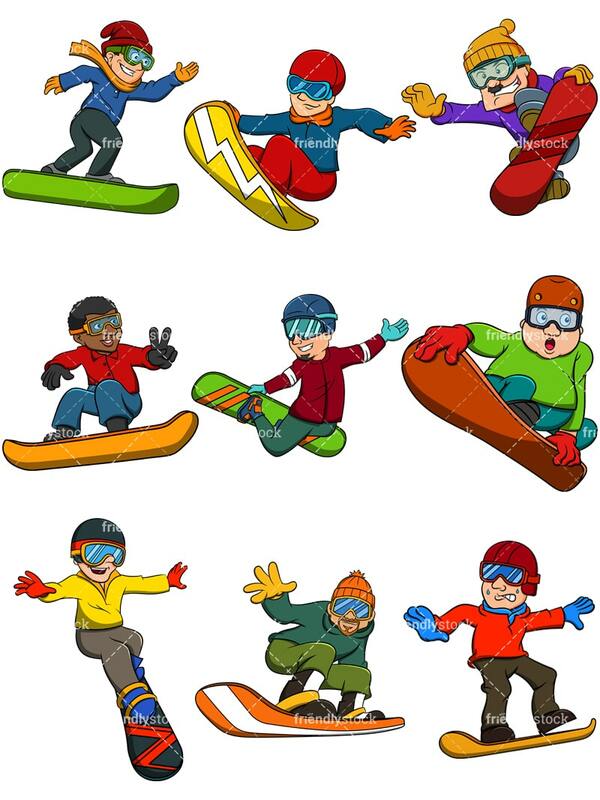 Royalty-free stock illustration of a caucasian man performing a mid-air jump with a snowboard while wearing goggles and other protective equipment. Royalty-free stock illustration of caucasian man with a goatee performing a snowboard stalefish grab trick mid air. 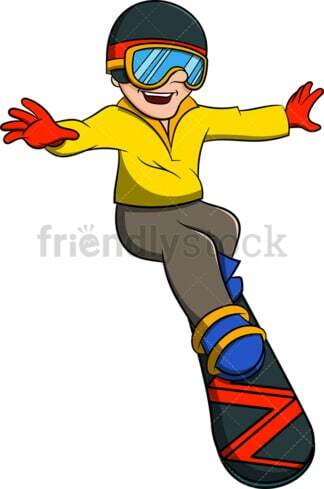 Royalty-free stock illustration of a caucasian man having a great time skateboarding, wearing goggles and a beanie. Royalty-free stock illustration of a caucasian man skateboarding and having a good time while grabbing the nose of his skateboard in flight to show off his skills. 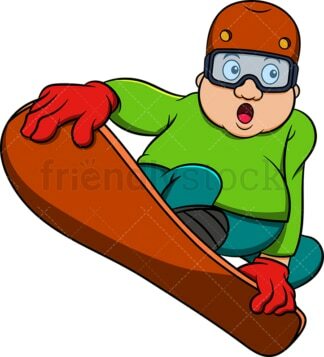 Royalty-free stock illustration of a chubby caucasian man performing a grab trick while snowboarding and looking surprised. Royalty-free stock illustration of a caucasian man sweating and looking scared while snowboarding – like if he is about to lose his balance and fall off.